I have two go-to eye makeup looks that I resort to so often I’d like to think I almost have them perfected. The first is a cat-eye which I find impossible to achieve without a liquid liner. I prefer Lorac’s Front of the Line black liner. The second is just your average, everyday natural look. While I love my liquid liner, I think it is a bit too much for the office. I prefer to channel a fresh-faced Kate Middleton more so than a make-up masked Kardashian. To each their own! 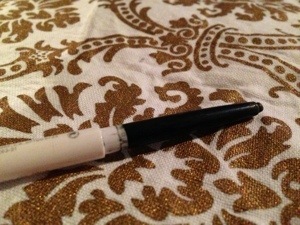 I’ve been on the search for a great basic black pencil eyeliner ever since the MAC in Georgetown closed down. I’m convinced it was a sign from the beauty gods as the formula must have changed because their pencil liner now smudges much more than it ever used to. 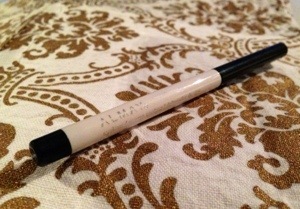 On to bigger, better and cheaper things, namely Almay’s Eyeliner Pencil! I scooped one up on a whim because it was on sale at CVS and haven’t turned back since. Almay’s liner goes on smooth enough to make a perfectly straight line without smudging. Applying it over eyeshadow doesn’t cause any build up on the pencil, which is an issue I’ve run into with other brands. It doesn’t require a sharpener either. The pencil applicator is extremely easy to use . So easy, in fact, that I’ve applied it without my contacts in and still managed to look presentable. Without my contacts, I’m legally blind. How’s that for an endorsement? All in all, this is an excellent purchase but the $7.99 price tag makes it a must-have! The liner comes in black and brown, but I prefer black eyeliner universally because I feel like it makes my blue eyes pop a bit more than brown. Give it a try and let me know what you think!